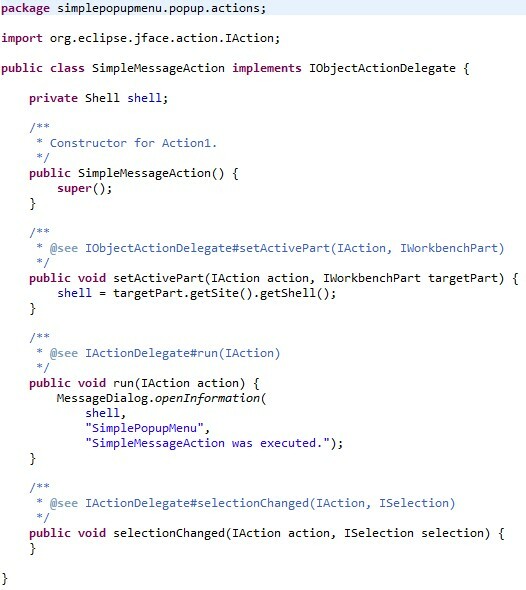 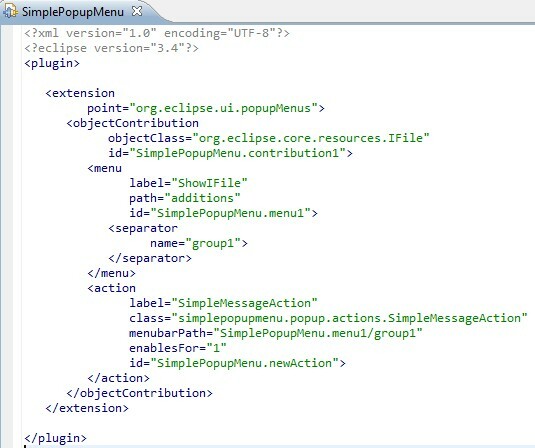 Below is the class created automatically. 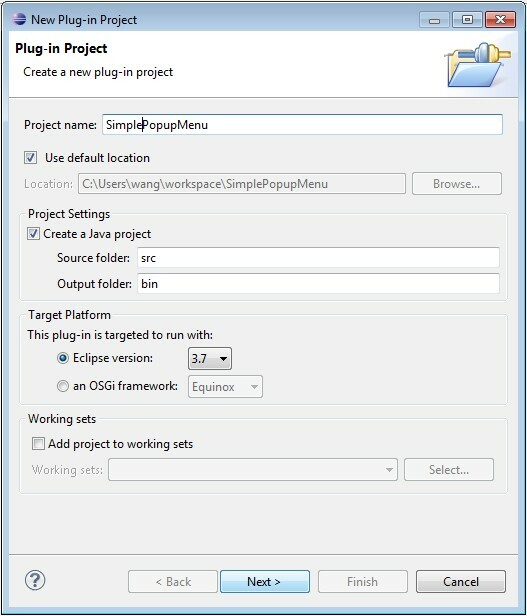 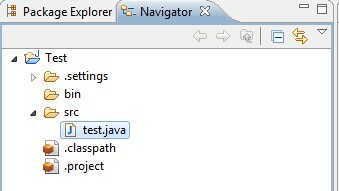 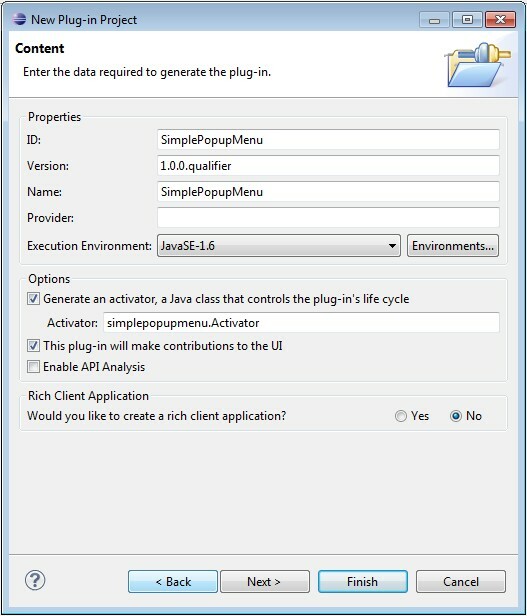 When you run the plug-in project, the popup menu only will show for Navigator view. 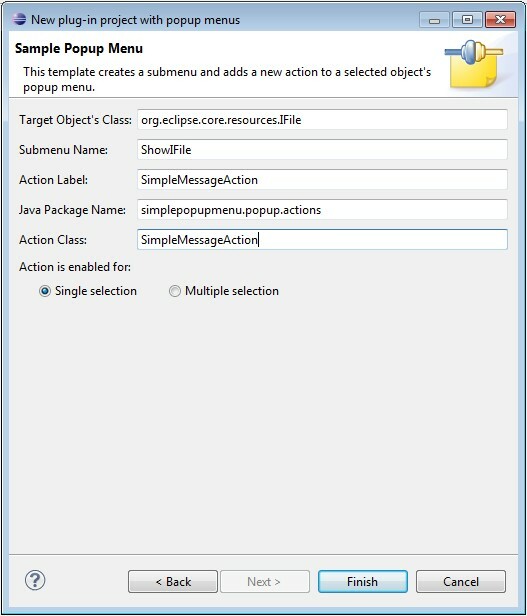 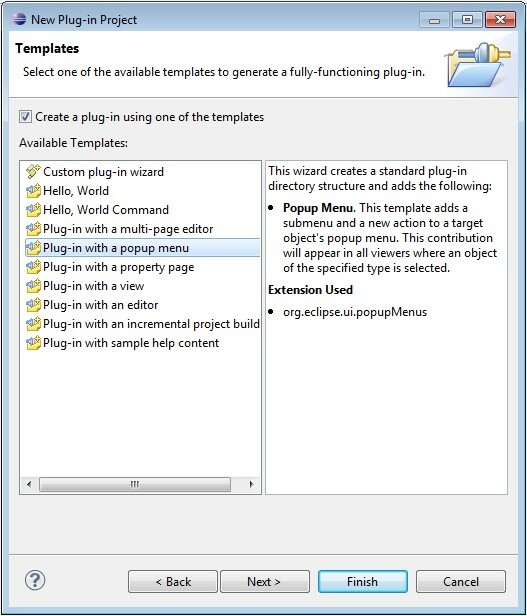 If you want to know how to make it shown in Project Explorer view, read the tutorial for creating popup menu when right clicking a file.